With such a demanding and smartphone-centric world, having a business app is now a must. Most of your potential customers are way mobile these days and love to browse websites from smartphones. They don’t have the time to sit in front of the PC and scroll down through various results to find an accurate one. Therefore, businesses are making it mandatory to have at least one business app, for attracting iOS and Android users. 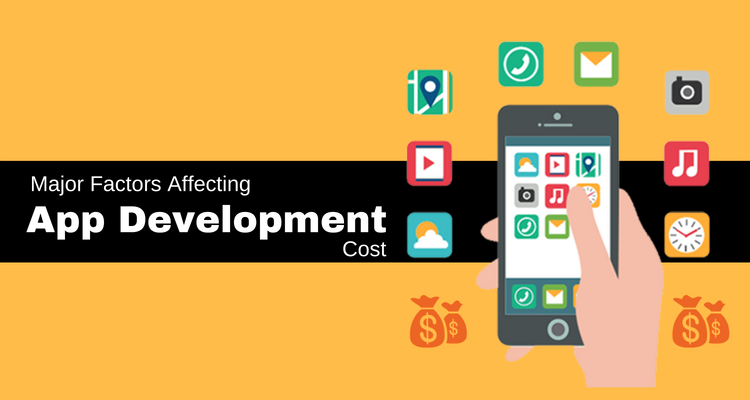 But the primary question asked is related to App development cost. How much will it actually cost to create an app of your choice? Well, it depends on the following factors. What are the features you want to incorporate in your app? What functions you want it to perform and what are the services to consider? Yes, you have to get these answers first before finalizing on the price quotient. The more features you are planning to incorporate, the higher will be the price. It is true that you have to invest a handsome amount for the apps. Adding few basic features won’t help your app to stand out in the crowd. With some additional features, you can invite some people to come and take a sneak peek before using the app. If the app has multiple screens, there is a greater scope to add more bells and whistles to enhance the user experience and design. Moreover, more screens usually mean there are some extra ways to navigate through the app. If you want, you can even access only one screen for using it in more than one way. It can further be used in more than one condition as asked for. Increased number of paths implies higher programming time for catering to all possible paths as taken by the user through this app. So, with higher screen numbers, your app turns out to be complex, resulting in higher development time and increased design efforts. Your app must have user driven content. Here, the users should be able to upload photos or videos and submit comments or reviews on the content. If so, then the Android application development charges might be a bit higher than usual. Can your app offer data, which will change regularly? Do you have the right to edit and even add data? If these questions have a positive answer, then your app is in dire need of database support systems. Working with a good firm for developing your app will ensure you don’t have to worry about it. Just figure out a budget beforehand as these support systems will cost you a bit higher rate than usual. Apart from that, adding a content management system (CMS) to your app will require additional investment, as it will add extra bucks in the servicing area. If you want the ability to add, control and edit data then, a CMS is what you need. For that, be ready to pay some extra! So, these simple factors can help in increasing your app’s value. In addition to the ones mentioned above, there are other factors that might affect the price of your app. The company you choose to work with for building your app is one of them. If you have a small budget, it is a great idea to start building your app with the most basic features and then continue upgrading as your business grows.